IS YOUR HOME WORTH TOP DOLLARS? According to a 2015 survey from the National Association of REALTORS®, houses that were on the market two weeks or less received a median of 100 percent of their asking price. Meanwhile, houses that were on the market for three to four weeks received on average only 97 percent of their asking price. For a $250,000 house that’s a difference of $7,500! Pricing your house competitively is crucial to generate the most interest from agents and buyers. When it comes to selling your house, the right price matters. Competitive pricing generates the most activity from buyers and agents, while a price that’s too high can contribute to a longer stay on the market and, ultimately, a drop in price to compete with newer, well-priced listings. This is because buyers base their pricing decisions on comparisons to the prices other properties have sold for in your area. Through competitive market analysis, we’ll help you find the pricing sweet spot for your home. The simple fact is that buyers and sellers determine market value. In other words, the value of your property is determined by what a buyer is willing to pay and a seller is willing to accept in today’s market. Our job is to price your house correctly so that you don’t miss out on the excitement and momentum generated when your listing first hits the market. 92% buyers begin their home search online. Did you know – we post homes for sale on Realtor.com? Many brokerages do not have the resources to promote on this site. This is where buyers spend 84% of their time (the internet) when online looking for real estate and we use the international version WorldProperties.com where the German, English, French and all other world buyers start their search. MTR is committed to higher standards in the real estate education and practice. We study the market in-depth frequently so we can provide you the latest insights on real estate and current pricing trends. MTR uses the most up-to-date, cutting-edge technology to generate timely results for all clients. MTR’s approach combines a customized market analysis, an understanding of the unique characteristics of your property and our expertise in the local market to establish an optimal pricing position. Together, we will create and finalize a customized marketing plan and timeline that will provide the winning strategy to guide us through all critical steps and to ensure a successful sale of your home. Pricing your property strategically and competitively so that it stands out from other listings. Staging your house to make a stellar first impression, in online photos and in person. Optimizing your house’s online presence with placement in the Keller Williams Listing System (KWLS) and my real estate app, with syndication across the world’s leading search sites. Targeting digital marketing efforts to buyers and investors in my database who are looking for homes like yours. Continuously updating you on my marketing efforts, including comments from buyers and agents who visit your property. 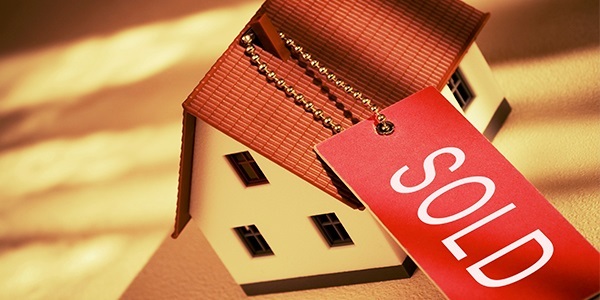 Leveraging any other marketing strategies necessary to get your house sold for top dollar. We will set a communication plan to ensure you stay updated with all critical steps of the home selling process until it is sold! MTR is marketing your home to potential buyers. MTR’s commitment is to be there for you, every step of the sale. We help sellers, just like you, sell their homes with a focused strategy. In other words, our job is to help you get your home sold for top dollar and to do that easily and with as little stress as possible.